A big thanks to Kimberly Pearson for donating this amazing document. Kimberly is a Cubmaster & District Roundtable Cub Scout Commissioner in the Tiburon District, Orange County Council. 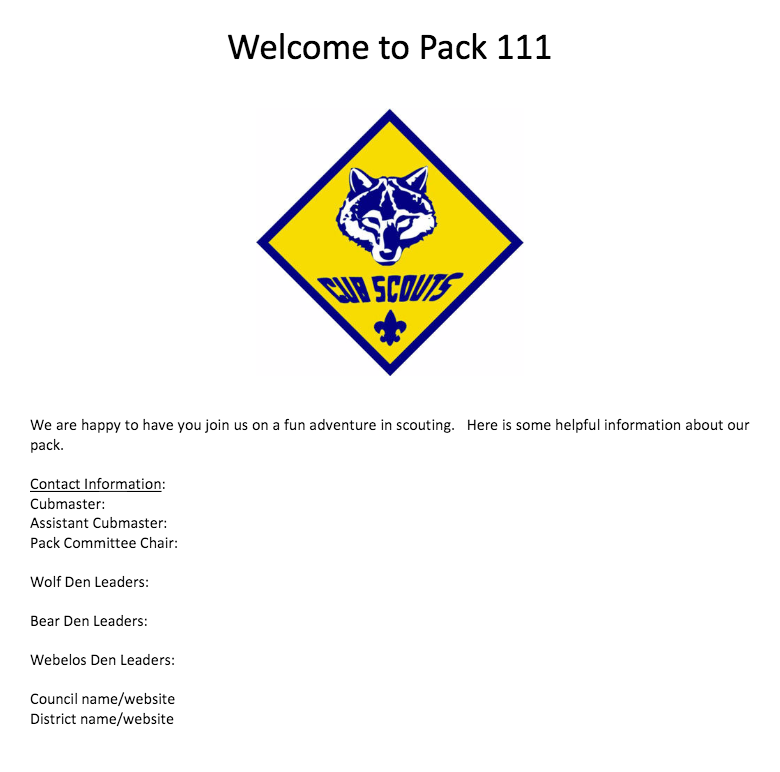 Click here to download a Word document that can be edited to meet the needs of your Pack.